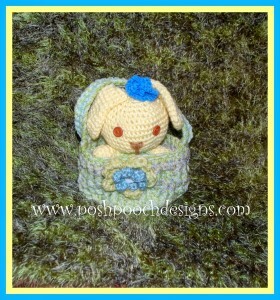 Crochet this adorable basket for your small amigurumi toys, or fill it with candy to give to a small child. Either way this basket is sure to be appreciated by all. You will need a bulky yarn and a K crochet hook to make this.